If you have visited the toothpaste aisle at your Palm Harbor Wal-Mart, you have probably noticed dozens of products that claim to whiten your teeth. A few years ago, the only over-the-counter tooth whitening options in Palm Harbor were whitening toothpastes and Crest Whitestrips. Now there is a wide variety of products at every drugstore counter in the Palm Harbor area. Palm Harbor whitening rinses are similar to mouthwashes. They kill bacteria, freshen breath and may help remove plaque. Whitening rinses, however, contain tooth-whitening ingredients not found in mouthwashes. Manufacturers advise taking a mouthful of the rinse and letting it slosh around on your teeth for one minute twice a day. Though this method is simple, many users never notice a lightening of their teeth. This is probably because the rinse does not touch your teeth long enough to truly whiten them. The whitening strips you can buy in Palm Harbor grocery stores have a couple of drawbacks. Though they contain a bleaching agent, it is much less potent than those used in Palm Harbor general dentistry offices. 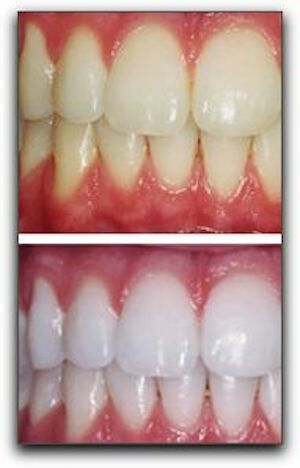 Another problem is that they do not whiten between teeth because the strips only touch the front surface. Though it is possible to remove stains, it can take months to see any whitening. By that point, you have probably spent more money than you would have if you’d have chosen the professional system at your Palm Harbor professional tooth whitening dental clinic. If you are serious about dramatically whitening your teeth, the safest, quickest, and most affordable system is at your Palm Harbor cosmetic dentistry office. Prestige Dentistry is located at 4140 Woodlands Pkwy, Ste A in Palm Harbor. Our phone number is 727-877-1507. You can find more information on our Palm Harbor dental website online at https://www.prestige-dentistry.com/learn-about-us.